Superfoods are known for their health benefits due to their phytonutrient content—plant compounds that have health-protecting and enhancing qualities. Superfoods are backed by research for their nutritious value, their ability to fight disease and even reverse the aging process. 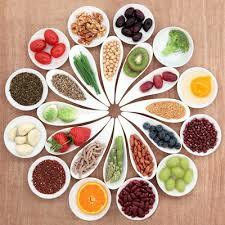 Superfoods are nutrient powerhouses that pack large doses of antioxidants, polyphenols, vitamins, and minerals. Eating them may reduce the risk of chronic disease, and prolong life, and people who eat more of them are healthier and thinner than those who don’t. Read about several foods that are considered super, what health benefits they offer, and how to fit them into your diet. 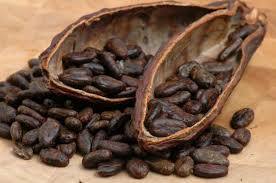 To the Aztecs, cacao was so precious and believed that it nourished strength. 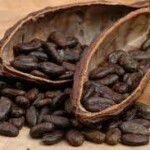 Cacao beans are the whole bean straight from the cacao fruit, where wild varieties still grow from the tropical areas of South and Central America. Cacao can improve your memory, increase your bliss, reduce heart disease, shed fat, boost immunity, and create loads of energy. Raw Organic Cacao is also one of the highest plant-based sources of magnesium, the most deficient mineral in the Western world. Magnesium is important for a healthy heart, and helps turn glucose into energy enabling your brain to work with laser-sharp clarity and focus. Cacao is a great source of four scientifically proven bliss chemicals – serotonin, dopamine, anandamide and phenylethylamine. These neurotransmitters are associated with cozy feelings of wellbeing, happiness, and can even alleviate depression. Cacao can do more: Doctors recommend taking 29 grams of cacao a day as its components, notably the polyphenols, have shown to stop proliferation of breast, prostate and colon cancer cells, while sparing normal cells. Chili peppers provide a host of antioxidant compounds such as vitamin C, vitamin A, flavonoids like beta-carotene, alpha-carotene, and lutein. These antioxidant substances in chilli protect the body from harmful effects of free radicals that are produced during stress and induce various diseases. Chillies deliver healing nutrients; promote blood circulation, thereby helping to control the pain. At the same time it fights the capsaicin inflammation, supports decongestion, which can be alleviated especially joint pain. By the regular consumption of chilies can thus taking non-steroidal anti-inflammatory drugs (NSAIDs), which can lead to stomach ulcers, damage to the liver, kidney, and even cancer, are significantly reduced. 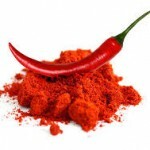 The capsaicin is often used in muscle relaxing creams. It promotes increased blood flow helps carry away inflammation and thereby alleviate the pain. 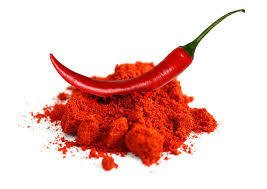 Capsaicin is an active ingredient in many of the most popular “fat burning” supplements on the market. A thermogenic agent, capsaicin helps to increase overall metabolic activity, thus helping the body burn calories and fat. 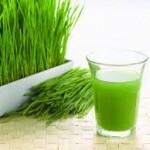 It’s the start of wheatgrass’s life that gives it such nutritional power. Through the sprouting process, the grass is packed with energy, high levels of nutrients, and live enzymes that help humans digest the grass when consumed, allowing nutrients to enter the bloodstream quickly. 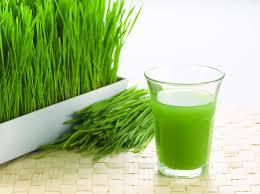 Wheatgrass contains all nine essential amino acids and is loaded, offering a host of health benefits. Studies suggest one such benefit is improved digestion and alleviation from stomach conditions like colitis by controlling bad bacteria from overwhelming the digestive tract and causing inflammation and discomfort. Some research also suggests the chlorophyll in wheatgrass makes it effective at fighting off cancer-causing compounds in the body. When chlorophyll hits the bloodstream, it boosts hemoglobin(because their structures are so similar), enriching the body’s cells with oxygen and cleaning them out of potentially harmful substances like BPA and a variety of carcinogens that can enter the body through food, polluted air, or impure drinking water. In a large bowl, add the cucumber, diced celery, water, lime juice, 1 ½ cups of watercress, and sea salt and mash it all together. Put this mixture in a large finely woven strainer and sift it until a light green juice has been generated. Add the avocado to the mixture and mash it until smooth, followed by the wheatgrass and leave to cool for 30 minutes. Serve and garnish with the remainder of watercress and fresh ground black pepper. This summery cold soup is full of chlorophyll, vitamin C, vitamin E, silicon, and zinc. Tart cherries are also used to make juice concentrates that may offer some unique health benefits. 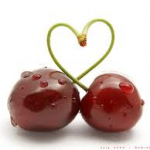 Cherries contain two important flavonoids: quercetin and iso-quercetin. Both help to eliminate oxidative stress and help to repair cell damage. The antioxidants found in cherries are said to boost memory and may help prevent Alzheimer’s disease. Antioxidants also help slow aging in many other ways, including appearance. The anthocyanins in cherries help regulate genes that are involved with fat and glucose metabolism, which should help reduce the risk for such health issues as high cholesterol, high blood pressure, and diabetes. 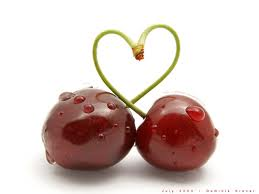 Cherries are also very high in potassium, which is known to help regulate heart rate and lower blood pressure. Cherries contain natural melatonin, which is a powerful antioxidant and free radical scavenger that helps “cool down” excess inflammation and associated oxidative stress. It also plays a vital role in sleep and bodily regeneration. New research finds drinking tart cherry juice twice a day can help you sleep nearly 90 more minutes a night.